The State Library of Queensland (SLQ) has won an industry innovation award, presented by Victorian organisation VALA—Libraries, Technology and the Future, for its Tunley Braille Globe Project. The project involved the creation of a 3D-printed replica of a fragile Braille globe of the world, originally designed for vision-impaired children and invented by Queenslander Richard Frank Tunley in the 1950s. 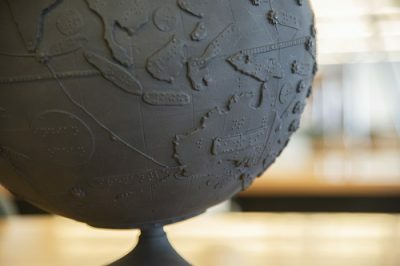 The replica globe can be touched and experienced as originally intended, and is accompanied by open access resources including digital 3D models and 3D printable files. The biennial VALA award, open to all libraries and information services in Australia, is presented to the service that has made the most innovative use of information and communication technologies to improve its service to customers. SLQ will speak about the winning project at a VALA event in Melbourne on 29 November. For more information on the event, see the VALA website.